There is something that separates a bona-fide beach town from just a seaside town, or, as we are in Cornwall, fishing village. Of course a town can be both, but with the term beach town come certain expectations. Heading the list of criteria is there needs to be a beach, and what's more it has to be a pretty good one. This presents no problems in Cornwall where we are spoilt for choice. So, what is it that differentiates any coastal settlement from being a beach town? It is quite hard to define this in concrete terms and I think it comes down to feelings as much as anything. Does the town feel as much part of the beach as the beach feels part of the town? Would you be happy to wander, at least part of, the high street in your beach wear? If the answer to the above is yes then the chances are it's a beach town (or more often a village). Set in the very far west of Cornwall, tucked away just around the corner from Land's End is the village of Sennen. Much of the village sits in the shelter of the headland and cliffs that protect it from the brunt of the weather whilst the beach here faces into the full force of the Atlantic weather. 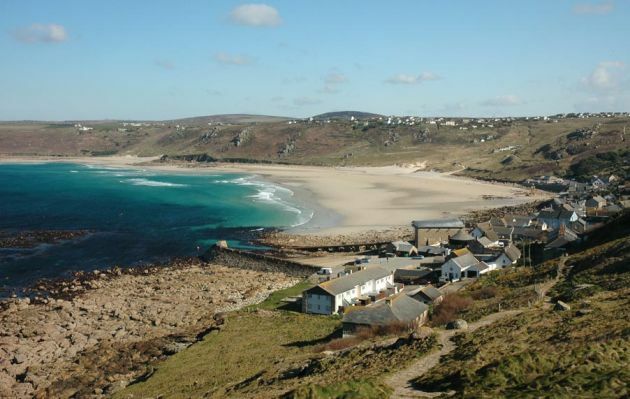 Over the years Sennen has transformed from being a remote fishing village to being a popular surfing destination and holiday spot. What gives Sennen its beach town feel is that everything you need is within a stone's throw of the beach; a good pub, fancy restaurant, chip shop and shop. And you won't feel out of place in your beach gear at any of them. Gorran Haven is an idyllic village on the Roseland peninsula near Mevagissey. Whilst it is popular it is also just far enough out of the way to keep the worst of the summer crowds down. Once, fishing was the main industry in Gorran Haven but these days life revolves around the beach. It's quite hard to miss this lovely little stretch of golden sand as if you keep driving down the high street you'll actually end up on it. Gorran is the kind of little seaside town that childhood memories are made of. There's lots of scope for exploring, from the little harbour at one end to the rockpools and headland at the other. There is a classic beach shop/cafe right on the beach, and just beyond, among the whitewashed cottages is more of the same. This is bucket and spade territory at its very best! 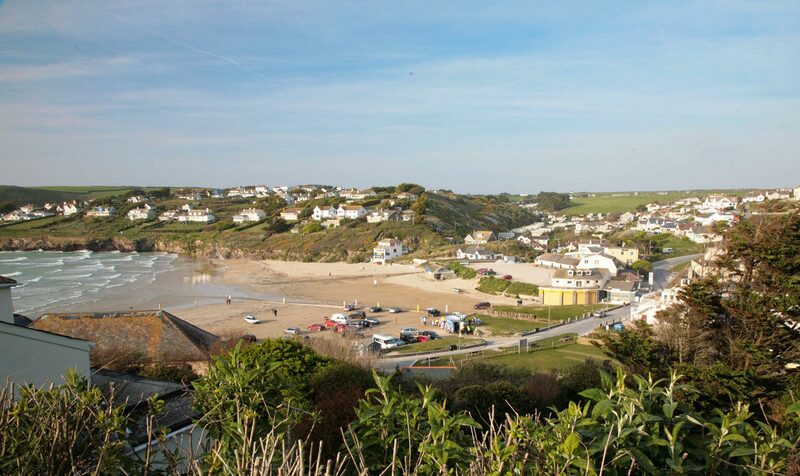 Polzeath is one of the beach-iest beach towns in Cornwall. The village practically spills onto the beach - in fact the car park here actually is the beach. 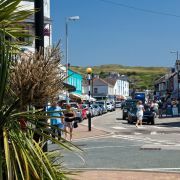 This seaside village is known as one of the most laid back spots on the coast with the main street in town backing onto the beach. You can tell this as there is usually good coating sand over the road. Here you will find a couple of surf shops and a cafes overlooking the beach. There is nothing pretty about the village itself but it does have the low-rise, unplanned feel of many beach towns around the world. And also like them everything here is about the beach. The fine expanse of sandy beach here is one of the best places to learn to surf in Cornwall. Unlike many of the places on this list Falmouth is not a one trick pony and has lots going on besides beaches; shops, a castle, a university, river, docks etc. 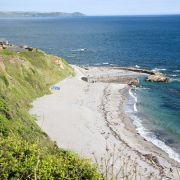 But Falmouth does have some lovely beaches once you get around Pendennis Head to the south-facing coast. Of these Gyllyngvase is the biggest and best, although neighbouring Castle beach and Swanpool are both nice enough. I'm still debating whether Falmouth really qualifies as a beach town as it is more of a town that happens to have some great beaches. But maybe that is a reason why it should be on this list. 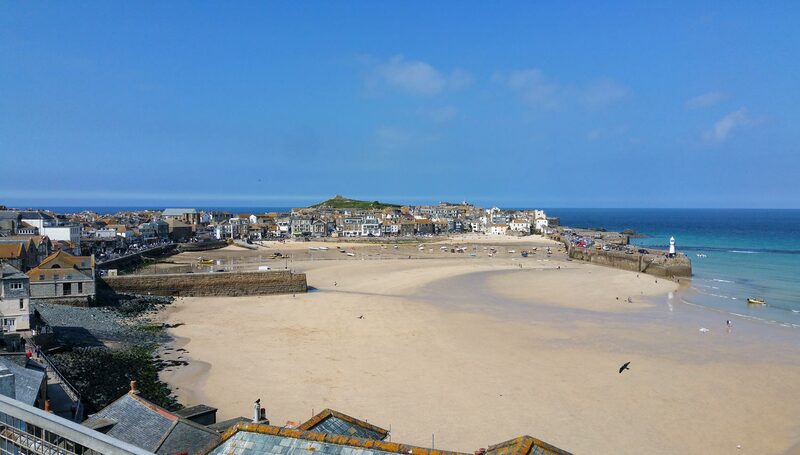 Unlike the other towns and villages (with the possible exception of St Ives) this is a proper town, well worth visiting even if you aren't a fan of beaches. What's more this means you can spend half the day in the shops and cafes, half the day on the beach and then enjoy an evening out on the town. 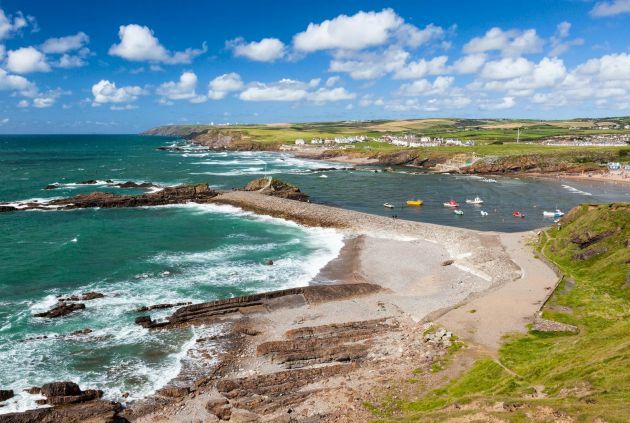 Bude has some of Cornwall's longest standing beach town credentials. It was at Crooklets beach that the UK's first life-saving club was set up, back in 1953. Lots has changed over the years but Bude still retains something of a surfy vibe with plenty of surf shops and some great waves. 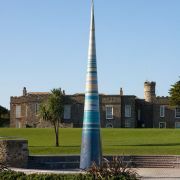 The town is also quite different to many of Cornwall's coastal villages, having a wide, open feel rather than the narrow, tightly packed, granite-lined streets one comes to expect in Cornwall. As with any good beach town, all roads lead to the beach - or beaches. Bude has some fine beaches right on its doorstep. Summerleaze is the closest and is perfect for families whilst Crooklets surf beach is just on the edge of town. 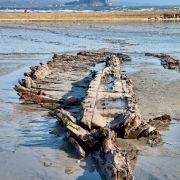 The original Cornish beach town; love it or hate it there is no way Newquay wasn't getting onto this list. Where ever you are in this coastal resort you will only be a matter of minutes from any one of a number of the amazing beaches that make up Newquay Bay. And around Towan headland is the best known of them all - Fistral beach. 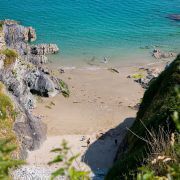 While these beaches have attracted visitors since Victorian times it has only been since Newquay established itself as the UK's de facto surf capital that things really took off. Nowadays the town is Cornwall's holiday hotspot with thousands flocking here to spend the days on the beaches soaking up the sun(!) and the nights partying. 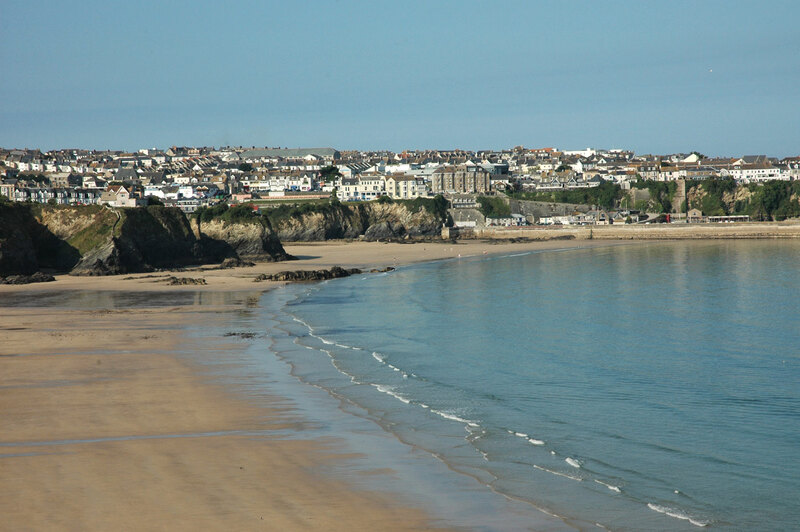 To some extent Newquay has become a victim of its own success but it is still the very definition of a beach town. The north coast village of Portreath has a rich history that long predates its growing reputation as a holiday destination. The fairly sizeable, solidly constructed harbour suggests that this was more than just another fishing village. In fact this port served the local mines of the wealthy Bassett family with tin shipped from here after being ferried down the "Mineral Tramway" which now forms a near flat cycle track. Gone are the days when sailing ships would have to navigate the terrifyingly narrow and exposed entrance to the harbour here. 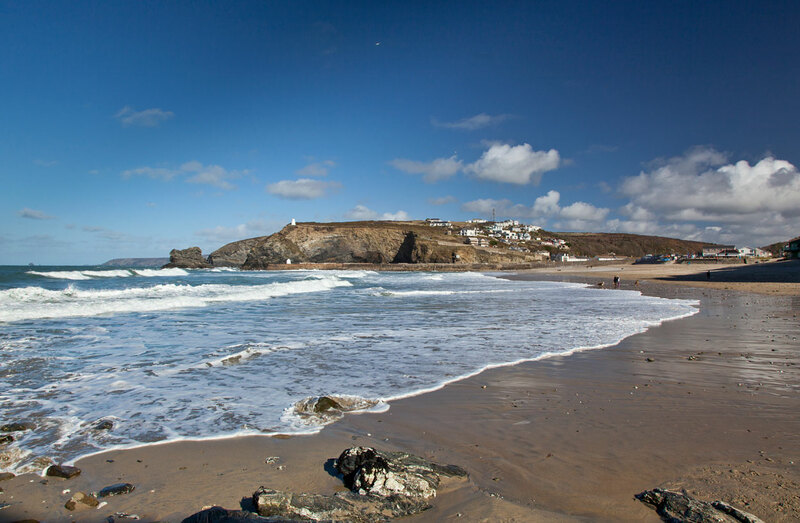 It is now the excellent sandy beach that everything in Portreath revolves around with the harbour providing an interesting backdrop to explore. As you might expect there are plenty of facilities around the beach and no shortage of places to stay with great views out over it towards Gull Rock. If you aren't a fan of beaches then St Ives probably isn't the place for you. Everywhere you look there are beaches, and each one is a bit of a gem with its own special character. For the surfers there is Porthmeor beach, the foodies have Porthminster with its seafood cafe and the rest have the harbour (which is also a beach!). Whichever beach you choose you won't be disappointed and you will be well catered for with excellent cafes on all the main beaches. St Ives does have other things going for it besides the beaches; it is a haven for artists and the jumble of cottages that make up the Down-a-long district is the stuff of postcards. 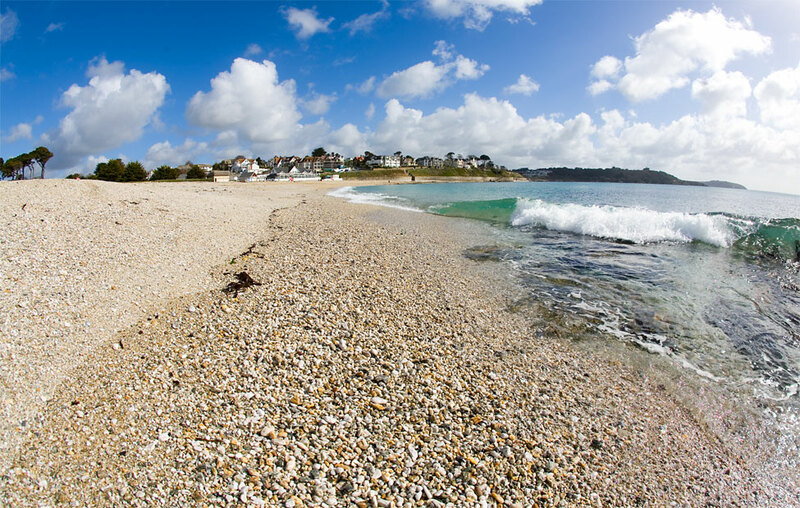 But there is no denying that this town is surrounded by some of the best beaches in Cornwall. 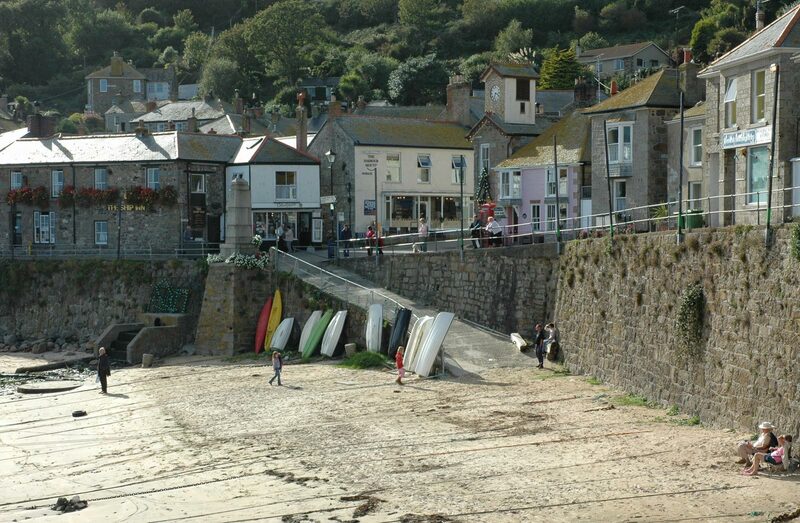 Most people don't think of Mousehole as a beach town, it is usually heading up the list of Cornish fishing villages. But it does tick all the boxes and the more I think about it the more convinced I am that Mousehole is definitely a beach town. As with St Ives the harbour here doubles as a beach, and yet again it is a lovely beach. Although not on the same scale as St Ives' harbour beach Mousehole is a concentrated version, with all the loveliness and facilities squeezed into a tiny area in and around the harbour front. 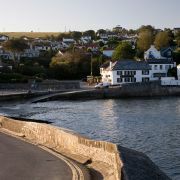 If Mousehole is a beach town then it is a fairly upmarket one; overlooking the beach are a deli and a bistro whilst just around the corner is the Coastguard Hotel with its lawn running down to the water's edge. 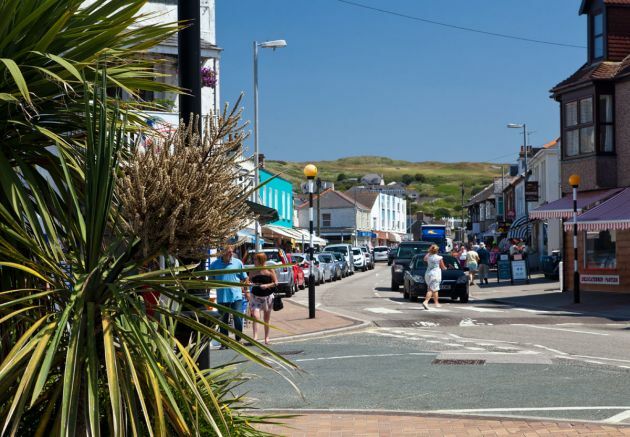 Perranporth is the archetypal beach town. A strip of surf shops, cafes and assorted holiday shops line the high street which is barely a stones throw from the vast sands of Perranporth beach. I think what make this (and Polzeath) feel so beachy is the fact they are set on the same level as the beach. That and the vast majority of businesses here are squarely aimed at beachgoers. Whilst many places will claim to have a bar on the beach, very few actually do in the literal sense. Perranporth does. The Watering Hole is located well and truly on the sand. So much so that a few years ago after some big storms it was almost lost to the sea. 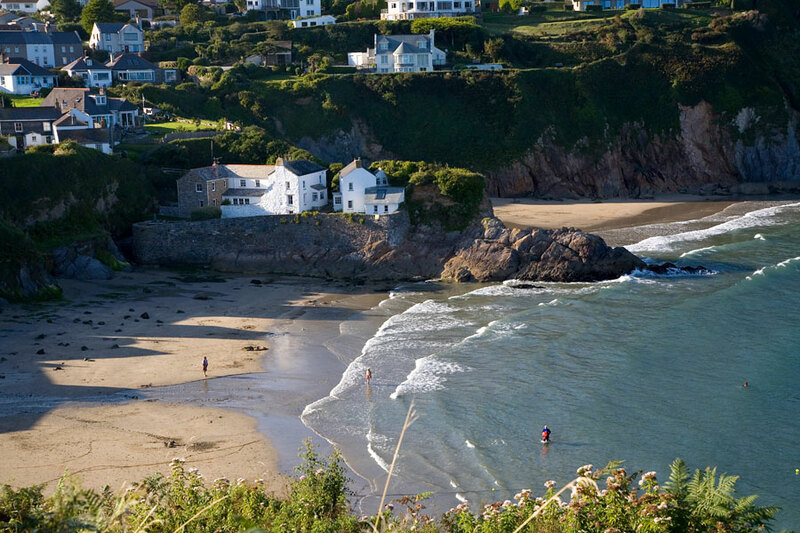 All in all you will struggle to find many places with as much of a beach town vibe as Perranporth on a summer's day.